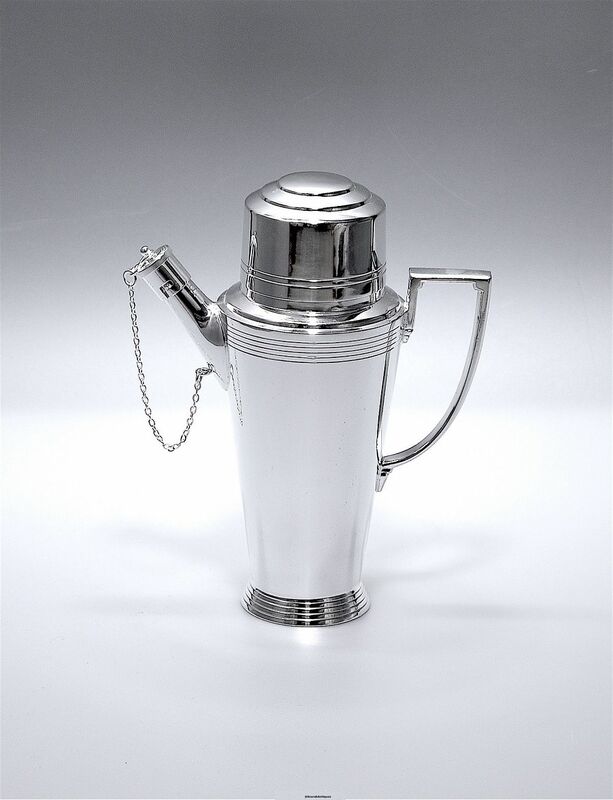 This extremely stylish Art Deco silver plated cocktail shaker with spout and handle was designed by Keith Murray for Mappin & Webb. The conical shape based with incised circles on the foot and around the top of the shaker and the base of the lid is typical of Murray's metalware and ceramic designs. 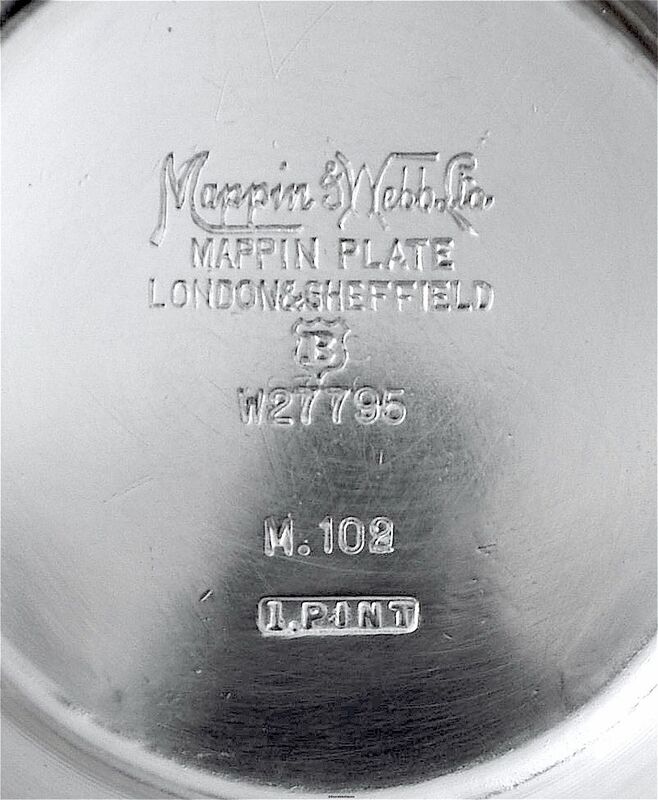 The underside of the shaker is marked "Mappin & Webb Ltd Mappin Plate London & Sheffield W27795 M.102 1 Pint " There is a shield shaped cartouche with the date letter "B".